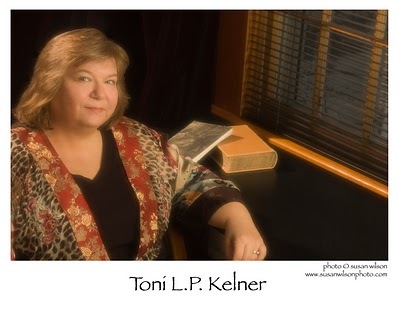 When not writing mystery novels and short stories, Toni L.P. Kelner edits urban fantasy anthologies with the scintillating Charlaine Harris. Their first two volumes gathered stories about vampire birthdays—Many Bloody Returns—and werewolves at Christmas—Wolfsbane and Mistletoe. For their third, the supernatural creatures of the world got free vacations to wherever their creators wanted to send them. Death’s Excellent Vacation was released earlier this month as an Ace hardcover and a Brilliance audio book. I love vacations. Whether it’s relaxing at the beach, running around Disney World, visiting museums, or just exploring a new city, I love going places. The packing I could do without, but travel is wonderful. And the best part of all is that for a writer, all vacations are working vacations. Now a lot of people have said that writers are always working, and there’s some truth in that. It may look as if I’m just playing Bejeweled Blitz or watching at the chipmunk in the yard, but mysterious authorial processes are going on in my brain. (Really!) 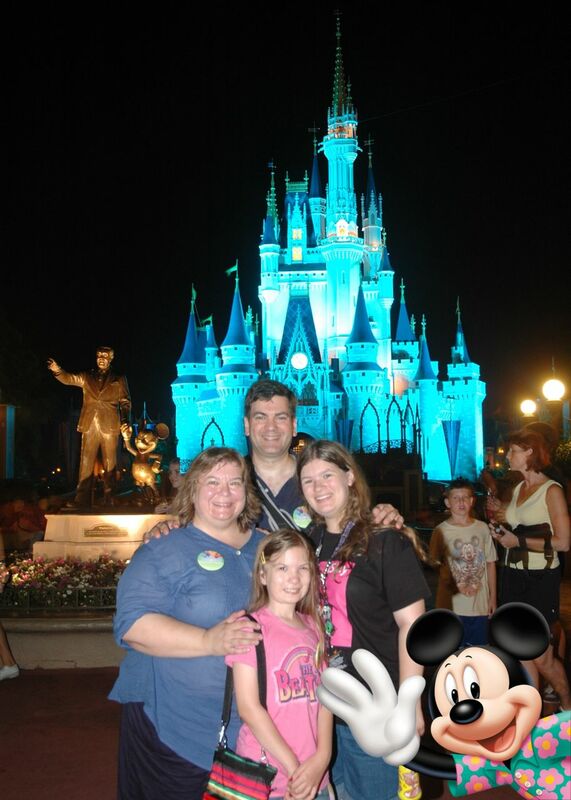 But nothing adds grist to my writer-ly mill like a vacation. A vacations gets me out of my rut, shakes out the mental cobwebs, and shows me more of the world. And every thing I see in real life makes my fictional world that much richer. Which brings me to Death’s Excellent Vacation, the anthology Charlaine Harris and I recently edited. It’s chock-full of vacation stories. We’ve got Charlaine’s vampire going to casinos, Sharan Newman’s leprechaun returning to Ireland, Lilith Saintcrow’s gargoyle heading for Paris, A. Lee Martinez’s unusual creatures at a New England bed-and-breakfast, and Katie MacAlister’s demon taking the vacation from hell—literally. Now I know that not all our contributors are writing about places they’ve been—I’m pretty sure Katie hasn’t been to hell—but I’d be willing to bet that some of them are writing about places they’ve gone for fun. I know for a fact that Chris Grabenstein has spent time on the Jersey shore and Sarah Smith has been in Japan. I know I was inspired by some of my own vacations in my contribution. The park in “Pirate Dave’s Haunted Amusement Park” is drawn from two different places: Dutch Wonderland in Lancaster, PA and Canobie Lake Park in Salem, NH. Admittedly, I didn’t encounter pirates, vampires, werewolves, or ninja in either park—those elements came to me while watching the chipmunk in the yard—but I tried to capture some of the sights, sounds, and smells of my fun days out. And I was not visiting either place with the intention of writing a story about it. I didn’t even write off the trips on my taxes! For a writer, even writing can be a vacation—if you’re writing something different. Look at Jeff Abbott and Daniel Stashower—they said they’d never done anything supernatural, making work on their contributions almost as good as time off. L.A. Banks and Jeaniene Frost usually write novels—writing something short was their vacation. As for Christopher Golden…. Heck, forget Chris. He apparently never goes on vacation. Have you seen how much he publishes every year? But leaving Chris out of it, we other writers need our vacations. And just to prove my commitment to this belief, as you read this, I’m on vacation in the UK. It may look to the uninitiated like all I’m doing is snapping photos at the Sherlock Holmes museum, being awestruck by the Rosetta Stone, and geeking my way through the Doctor Who bus tour to Cardiff. Bu you all know that I’m actually working, and chances are some of what I see is going to sneak into my books. Wonderful post, Toni! I can see I need to send my protag somewhere I'd like to go.Why oh why did I set my series in my own back yard?